Award-winning, hit drama series, The Handmaid's Tale, will return for season three on Wednesday, June 5 with three new episodes, and subsequent episodes released every Wednesday only on Hulu. 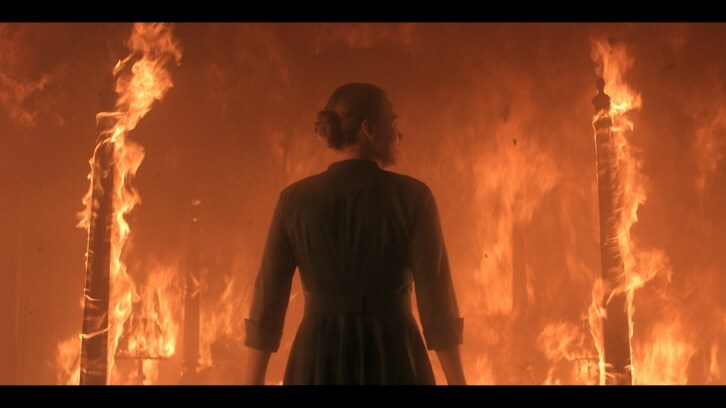 The 13-episode third season of The Handmaid's Tale is driven by June's resistance to the dystopian regime of Gilead and her struggle to strike back against overwhelming odds. Startling reunions, betrayals, and a journey to the terrifying heart of Gilead force all characters to take a stand, guided by one defiant prayer: "Blessed be the fight." The Handmaid's Tale comes to Hulu from MGM Television and is created, executive produced and written by Bruce Miller. Executive produced by Warren Littlefield, Elisabeth Moss, Daniel Wilson, Fran Sears, Ilene Chaiken, Eric Tuchman and Mike Barker. MGM serves as the international distributor for the series. The Handmaid's Tale stars Elisabeth Moss, Joseph Fiennes, Yvonne Strahovski, Alexis Bledel, Madeline Brewer, Ann Dowd, O-T Fagbenle, Max Minghella, Samira Wiley and Bradley Whitford.